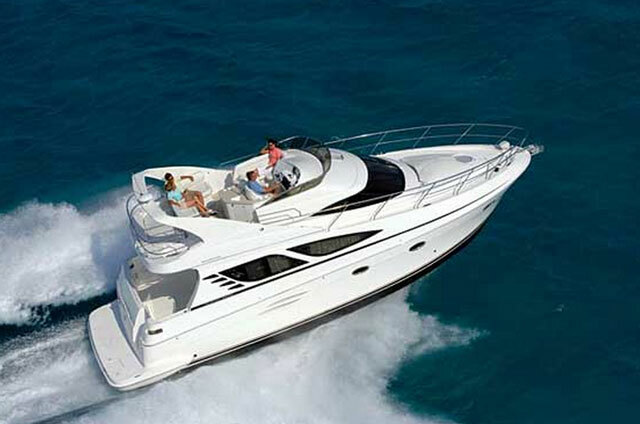 The new Silverton 36 Convertible was designed to give you the feeling of life in a Miami penthouse. Was the project a success? Pass the Mai Tais and crank the Salsa. 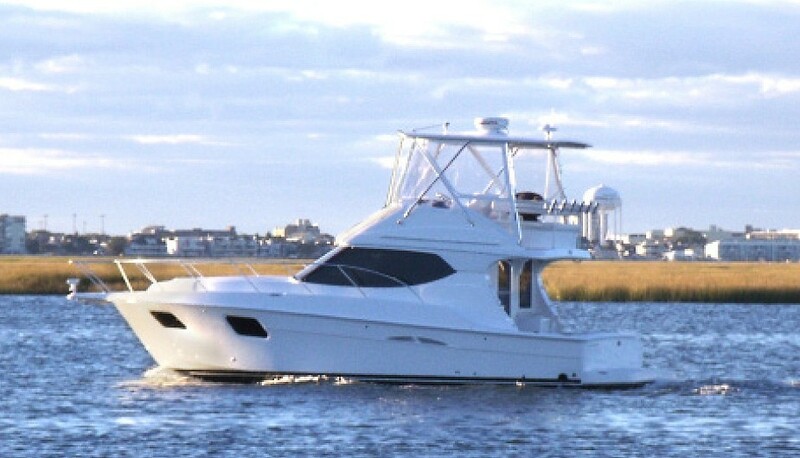 You choose a motor yacht for luxury afloat, and you choose a convertible for the open cockpit/flybridge design. 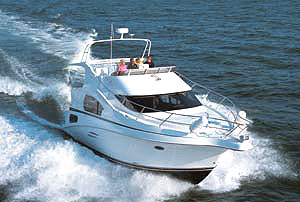 But few boats are good at combining the two. 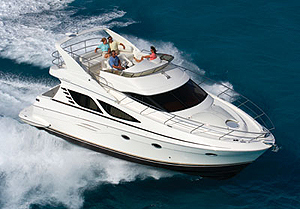 One that has a history of success building convertible-style motoryachts, however, is Silverton Yachts. This company has gone through a lot of changes in the past few years, but was recently acquired by the Egg Harbor Group, which also produces such nameplates as Predator, Buddy Davis, and Topaz. And the first thing they decided to do was take the 36 Convertible and make it reminiscent of a Miami penthouse suite. Was the endeavor a success? Let's find out. The Silverton 36C is now built by the Egg Harbor Group, and its interior has undergone a major redesign for 2013. Naturally, the biggest challenge was taking the interior of a relatively small convertible and making it seem spacious and luxurious. To that end, large hull windows were added to the panoramic salon windows, bringing in a flood of natural light. John Kelly Interior Design was brought in to completely redesign the décor, which features a dramatic contrast between light-colored fabrics and dark-stained cherry wood cabinetry, doors, and trim. Custom blinds, drapes, pillows, and bedspreads were added to the mix. Net result? Oye, baby, lets’ cast off the lines and check the zeen in So Be. Inside the salon, the contrast set off by using dark woods and bright fabrics is unmistakable. 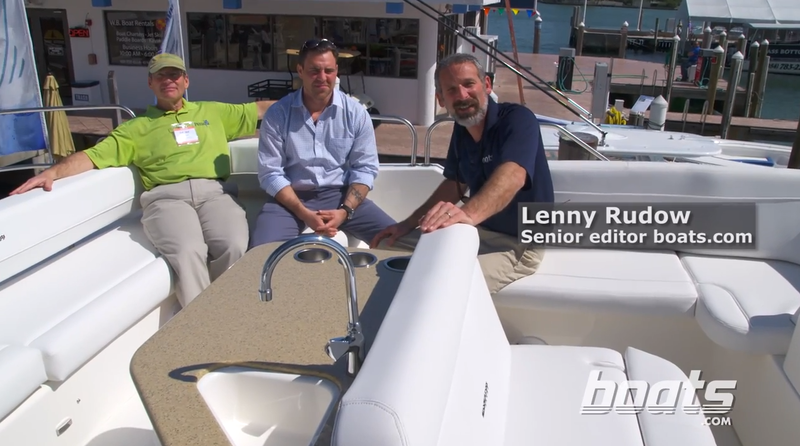 A new interior is great, but a “new” boat this alone does not make. And, it’s not the only thing about the 36 Convertible that’s changed. 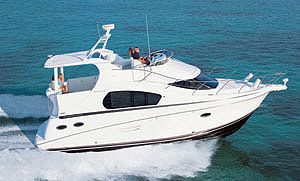 The old version had an arch with a soft top over the flybridge, but the new incarnation features a full-blown hard top. It also has solid hardwoods in the doors, cabinets, and drawer face frames. What hasn’t changed are two design features that set the 36 apart from much of the competition. 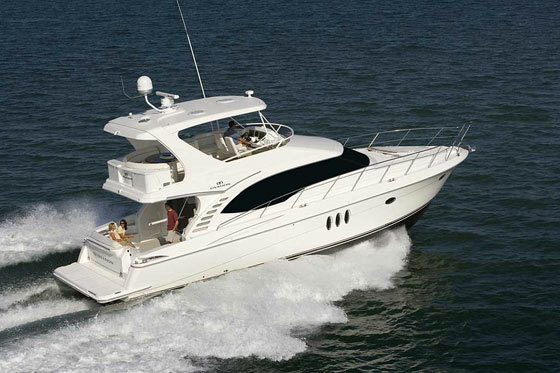 First off, instead of using a ladder to access the flybridge you get an easy-to-navigate stairway. Yes, this does eat a bit into cockpit and cabin space, which is why you usually see it only on larger boats. But if you've banged your shins, knees, and chin on a ladder or two, you’ll consider it a good trade-off. Secondly, there’s a full-enclosed guest stateroom. It’s on the tight side and there isn't room for more than a pair of over-unders, but having this kind of additional privacy on a motoryacht in this size range is almost unheard-of. 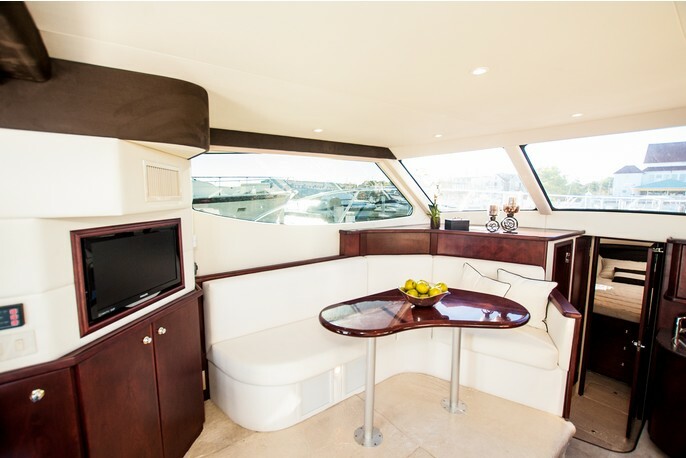 Another Choice: The Carver 34 C Command Bridge Motor Yacht is a slightly smaller boat which also combines convertible with motor yacht, and manages to squeeze in a stairway to the flybridge. 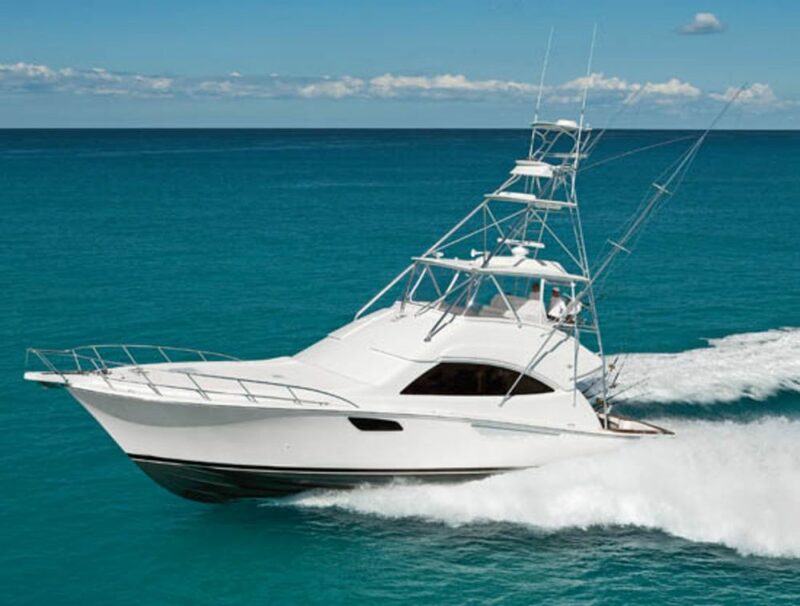 For more information, visit Silverton Yachts.